About - Whissell Contracting Ltd.
Whissell Contracting Ltd. was founded in Calgary in 1970 as a water and sewer contractor. 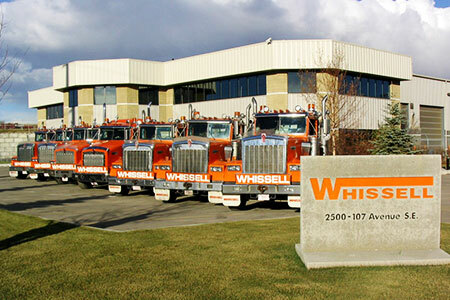 Today Whissell operates five divisions, three offices, and over 425 employees and more than 300 pieces of heavy equipment, highway tractors, and trailers. Our success is because of our people. They combine decades of experience with a commitment to our core values and dedication to responding to the changing needs of our valued clients. Our major clients include land developers, municipal governments, mining, oil & gas and other private sector clients. To service our customers, Whissell continuously invests in our people, equipment and facilities. Investment in our people includes training in safety and industry best practices. Our equipment fleet is modern and continually updated and maintained, allowing us to provide reliable service. Our corporate head office is located in Calgary and boasts over 31,000 square feet of office and shop space. Our Lethbridge location officially opened in July 2015 with 14,000 square feet of office and shop space. In December 2016, we purchased a 20,400 square foot office and shop space for our Edmonton area office in Leduc. Additionally, we have built strong relationships with our suppliers and financial, insurance and bonding partners, allowing us greater flexibility in serving our clients. Whissell has invested in their industry with memberships to the Canadian Construction Association, Alberta Roadbuilders and Heavy Construction Association, Merit Contractors Association, Calgary Construction Association and Urban Development Institute. 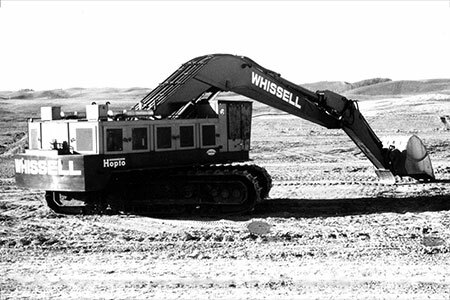 Adding to our legacy, in 2012, Whissell Contracting purchased the Lethbridge-based G.W. Cox Construction. This acquisition expanded our reach into Lethbridge and area which deepened our commitment to servicing the southern Alberta market. It has also provided the expertise for Earthworks construction which in 2013 spawned an entire Earthworks division in Calgary. And while the name G.W. Cox Construction is no longer in operation, we build on their excellent reputation and continue to invest in and support the community of Lethbridge and its surrounding areas. In September of 2014, we entered the Edmonton market when we were asked to complete a project due to the bankruptcy of another contractor. This opportunity provided the start of accelerated growth in this market area, successfully completing projects for the City of Edmonton, general contractors, land developers, and other surrounding municipalities. Our commitment to this market area was shown through the purchase of the office and shop in Leduc in December 2016.